As I read through her work, I noticed that she had plenty of details. We know her character’s hobbies, her favorite class and the things that she regrets. In a sense, it feels like it should be enough but somehow it isn’t. As much detail as she’s provided, it all still feels very superficial. I’d love to say that I was wildly helpful. But I wasn’t. Then I read a blog post by Marcy Hatch on deeper characterization. She discusses a characterization exercise that encourages the writer to consider her character’s third tier emotion. 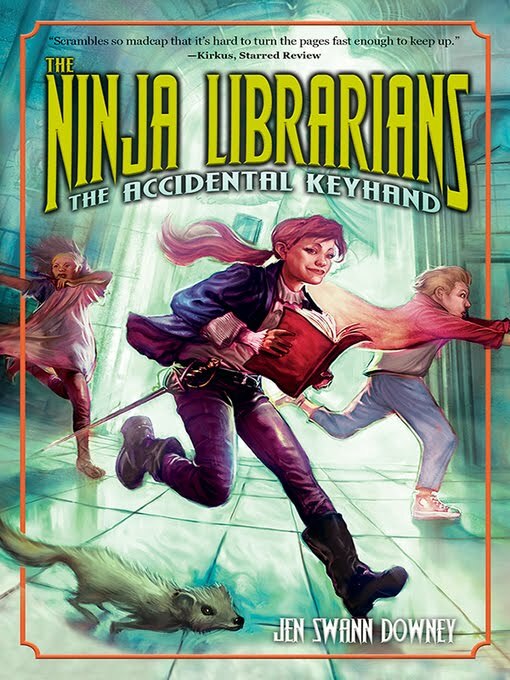 Here is how it works using the book that I’m currently reading – Ninja Librarians: The Accidental Keyhand by Jen Swann Downey. 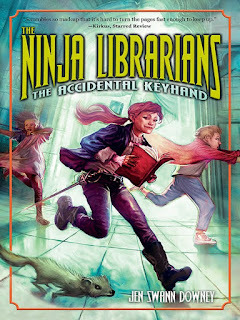 When Dorrie catches bullying Tiffany making fun of her favorite librarian and swordplay teacher, she sticks up to the other girl and finds herself challenged to a duel. What is Dorrie feeling when she discovers what the other girl is up to? Her first emotion is outrage at what Tiffany is saying about Mr. Kornberger. How can she be so mean? But it goes deeper than this. Her second emotion is embarrassment. After all, Mr. Kornberger can be so . . . corny. Dorrie never sticks up to Tiffany. For the argument to go from disagreement to duel there has to be still more. Dorrie is also frightened. Why? Because she does her best to emulate Mr. Kornberger. If he is embarrassment that Tiffany thinks he is, then what about Dorrie? Does this mean that she’s ridiculous too? Taking your character’s emotion 1-2-3 levels deep gives you the depth that you need for an external conflict (sticking up for Mr. Kornberger). But it takes you beyond this to a deeper internal conflict, a conflict that gives your character and story added depth. Now, if you’ll excuse me, I have an e-mail to send to my writing buddy. I think this might be the fix she needs for her story. After that, I have a character’s life to complicate. Thank you for the insight, SueBe. Thinking about the third tier is a great way to dig deeply into characterization. I'm going to use this in my current WIP to brush away any cardboard I find. This is excellent advice! I never thought of layering emotion this way. Thanks, Sue!